Genmega understands that maximizing revenue and delivering your self-service solution in a reliable and customer friendly form is critical to your business. Combining traditional ATM functionality along with the power to drive an array of components and devices, Genmega has engineered and designed the all new G6000 ATM-Kiosk with your self-service solution in mind. The matching Side-Car component chassis allows easy integration of devices and components needed to bring your unique solution into reality. 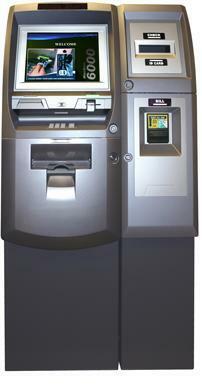 The Genmega G6000 ATM includes high-end features including a 15� touch screen LCD, eye catching modern design and host of hardware options driven by a Microsoft Windows� operating environment for maximum flexibility.